Spalding County Tax Commissioner's Office Will Be Closed on Wednesday, March 20, 2019. 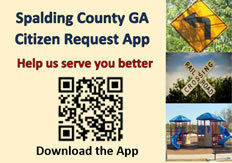 Welcome to Spalding County online, the official government website for Spalding County, Georgia. Spalding County is located in the west-central part of Georgia and encompasses 201 square miles. Bordered by Clayton, Coweta, Fayette, Henry, Butts, Lamar, Pike, and Meriwether counties, Spalding County lies 40 miles south of downtown Atlanta and 55 miles northwest of Macon. Spalding County is a part of the Atlanta Metropolitan Statistical Area (MSA). Spalding County offers a little bit of everything: a small town charm surrounded by natural beauty and a vibrant culture. Our county hosts beautiful lakes, acres of scenic parks and a multitude of historic landmarks. In addition, Spalding County is home to the University of Georgia’s Griffin Campus and Southern Crescent Technical College. 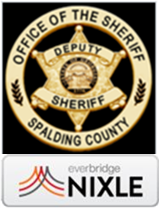 Thank you for visiting spaldingcounty.com. We sincerely hope that you find this website useful and informative. We welcome any comments or suggestions. please click here and fill out a feedback form so we may contact you for follow-up information.